Learn the ins and outs of hiring your music pros and the truth about the biggest wedding music misconceptions. Forget all the myths you’ve heard about hiring and handling wedding bands or DJs—we’re here to debunk them once and for all. Yes, you can totally hire both a band and a DJ if you want to. No, you won’t have total control over every song played (but you can communicate your preferences early and clearly). Here are the top 10 wedding music misconceptions and why they couldn’t be further from the truth. DJs always talk too much. You’ve probably heard about (or been to) weddings where a DJ, in a misguided attempt to emcee, talked more than he spun—with cringe-worthy results. An experienced wedding DJ, however, will only speak when it’s appropriate. “Every time a DJ speaks, they should have something important to say, which you’ve planned with them in advance,” says DJ Dr. Drax, CEO of the American Disc Jockey Association. To ensure your DJ doesn’t abuse their proximity to the mic, be specific about when you want them to talk and when you don’t. If you’re nervous they’ll be a chatterbox. Bands take way too many breaks. 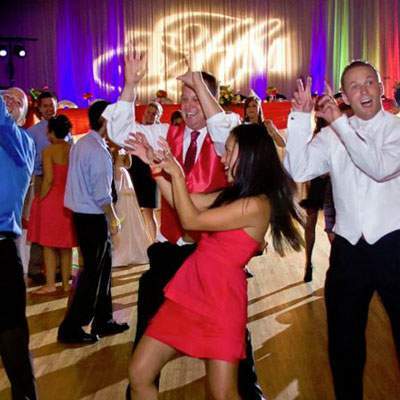 One common concern about hiring a wedding band is that each 40 to 45 minute set they play will be followed by a 15 to 20 minute break filled with music from a compilation CD—and that bored guests will vacate the dance floor. But you can manage your band’s need for downtime so it doesn’t disrupt the party too much. Ask the band members to stagger their breaks so there’s live music throughout the night (it may cost an extra fee). 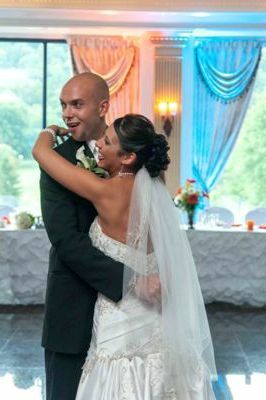 Guests will stay entertained and the dance floor will stay full. DJs will play cheesy tunes. Worried your DJ has their mind set on the “Chicken Dance” and “Cha-Cha Slide,” when you’re thinking more along the lines of “Brown Eyed Girl” and “Unforgettable”? It doesn’t have to be that way—your DJ wants to play what you want to hear, but you have to communicate your tastes clearly. Don’t rely on words alone—terms like “dance music,” “rock” and “slow songs” are vague and can easily be misinterpreted. Make sure you’re on the same music style page and give them a playlist and a do-not-play list. 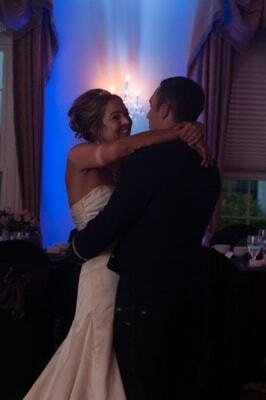 “Brides and grooms should be able to customize the playlist. You have total control over everything. One caveat to the last idea: You can—and should—give your DJ a must-play list of tunes, but you shouldn’t try to micromanage the music. To some extent, your lists should be guidelines for your pro, not hard-and-fast rules. Your DJ should know the genre you’re interested in, but let them choose the best way to mix the music—after all, it’s their job to keep people on the dance floor. Give your band some flexibility to react to the crowd and adjust the tempo accordingly. The days when it was all the rage for a wedding band to encourage a conga line, the “YMCA” or “The Macarena” are over. But if you’re worried about that kind of thing, see the band in action before you sign on the dotted line. Ask for YouTube clips or other footage of a previous performance to get a sense of how they interact with the crowd. You should also try to see them live. Even though you can’t crash somebody else’s wedding, find out if you can drop by to see them perform at another type of event. Just keep in mind you can’t alter a band’s style as easily as you can tweak a DJ’s. If their live act is rambunctious and interactive (complete with line dances), then asking them to change might hamper their performance, and you’re probably better off going with a different group. A band can’t offer enough variety. You’d be surprised by the musical depth a high-quality wedding band can offer. One indication that a band has versatility is if they have more than one singer—if they have both male and female vocalists, for example, chances are they’re open to a wider range of songs. Though a band may specialize in a style (like big band or soul), they’re professional musicians and should be able to stray at least a little from their niche. If a few of the songs you have your heart set on aren’t in the band’s repertoire, simply ask them to learn the songs before your wedding—most bands will learn between three and five songs if you give them enough notice. A DJ will save you money. Although a DJ can often cost less than a band, you shouldn’t cheap out on this vendor. “If you’re willing to pay for a top-notch DJ, you can get way more than somebody to play songs,” Dr. Drax says. “A great DJ will talk to your photographer and tell him which songs are coming next. Photographers capture the best moments, but it’s the DJ’s job to create the opportunity for them to occur.” Although the old adage “you get what you pay for” isn’t always true, when it comes to your music it’s certainly advice to consider—great DJs are really great, but it can definitely go the other way. Hiring a bar band is a good idea. 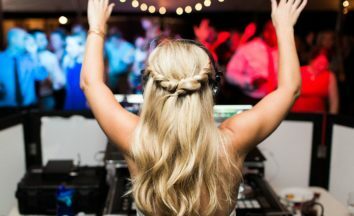 Unless they also have a lot of experience with weddings, using a band or DJ that’s oriented primarily with nightclubs is risky, since they won’t be adept at pleasing a diverse crowd. “It’s much smarter to find somebody who has experience in wedding entertainment,” Dr. Drax says. 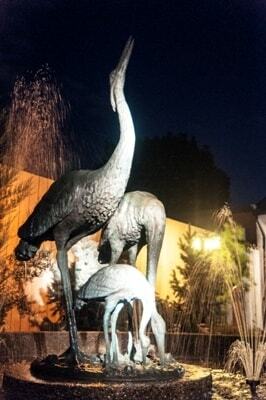 “If your wedding will be mostly your college buddies, then maybe your favorite campus band will be great.” He’s quick to point out though, that if you’re inviting coworkers, grandparents and children, the entertainment should offer something for everyone. You have to hire a DJ or band—you can’t have both. If it’s in your budget, you can have the best of both forms of entertainment. Either hire a DJ to be your emcee and spin while the band is on break, or divide the evening into two portions. 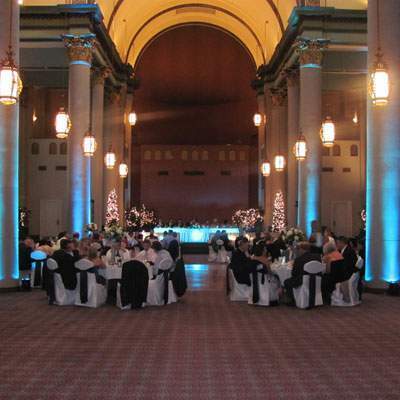 Another option is to hire a band for your reception and a DJ to spin at the after-party. Or, if you can’t spring for a whole band, see about combining a few live musicians with a DJ. 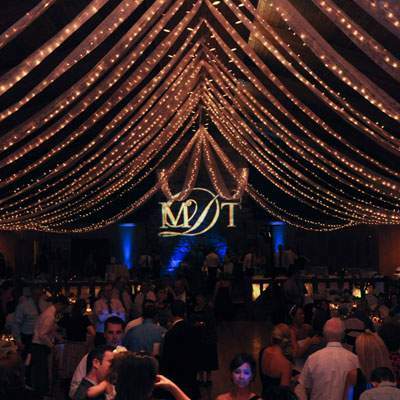 Some companies create packages where, for example, the musicians will play for the ceremony and during cocktail hour, then complement the DJ during the dancing by adding percussion or vocals. Slow songs must come first, followed by faster tunes after the cake cutting. Some couples request that their entertainers play ’50s rock or big-band-style songs early on to please their older guests, and then switch over to more lively beats so the younger crowd can dominate the floor until last call. 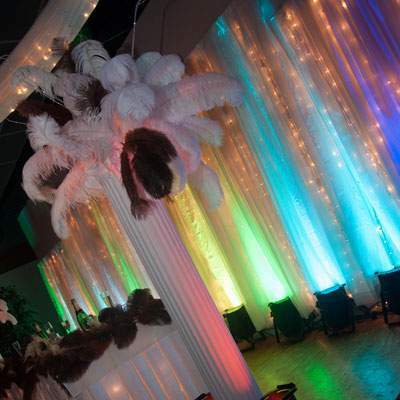 But it can be more fun for you and your guests if you have your band or DJ mix it up throughout the night. Alternating between speeds, styles and eras of music will keep wedding guests of all ages more engaged and encourage them to broaden the range of music they’ll jam out to, with truly memorable results.